Charleston is one of America’s most walkable cities, especially the area south of Broad Street. Compact enough to get around on foot, and with interesting architecture, gardening and history. I’ve greatly enjoyed both of my visits to this city. I enjoy looking at small things in places I visit, such as the signage of a city. 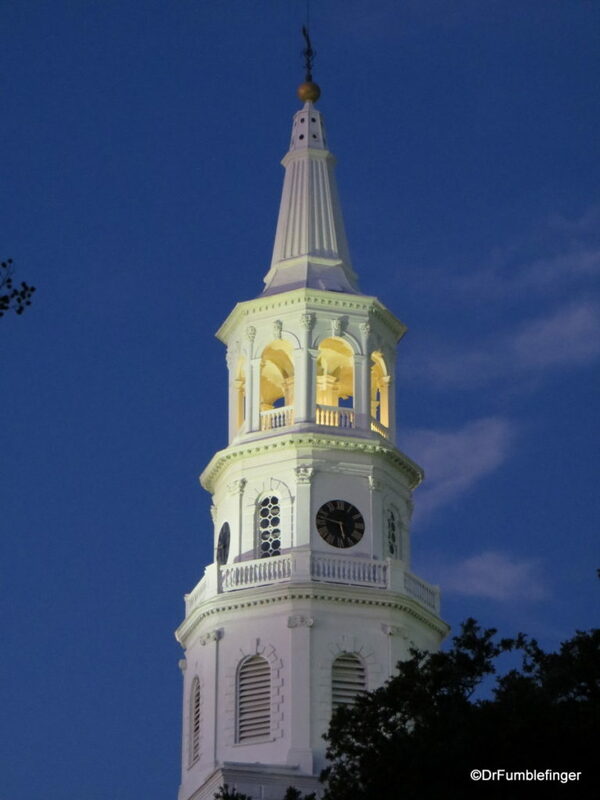 Among the best urban walks in North America is the area “South of Broad” in beautiful historic Charleston, past wonderful old mansions, most meticulously and loving preserved. There are some businesses here, but most of the businesses are “North of Broad”. This photo gallery has an assortment of signs that I found interesting in the city. I hope you enjoy it. The vegetation in the southeastern United States is unlike anywhere else I’ve been. I visited Charleston a few months ago and spent the better part of a day exploring the Magnolia Plantation, one of the grand estates of the Old South situated a few miles inland from Charleston. The lovely and sprawling gardens of this plantation included several bridges which I thought incredibly photogenic — the still water, with reflected trees and Spanish moss, was beautiful! Besides enjoying grand panoramas of a city, I think it’s good to look at the smaller things, too. It’s often these that makes a place interesting and reveal a lot about its character. Details of architecture are among these facets, providing a sense of style, color, sometimes even grace. In the past decade or so, Charleston has emerged as a food/foodie travel destination. On an extended weekend visit to Charleston, we enjoyed superb food every single meal. Most everything is fried and a little “heavier” than we’re used to, as you’d expect in the south, but we ate well and I’m sure we got onto our planes as we departed somewhat heavier than when we arrived.